The first section of trunk road to open on the Aberdeen Western Peripheral Route is expected to be a new seven kilometre section between Goval and Blackdog. The opening date for new road, which will help to improve safety, local access and journey time reliability, will be announced at a later time. The road order enables the new section of road to open any time once complete after Monday, June 4. Final preparation works are currently on-going to ensure the road is ready for use before the section opens to traffic. This link between Blackdog Junction and Goval Junction will deliver a range of benefits including improved access to and from Goval; with road users from Newmacher, Oldmeldrum, Fyvie, Turiff, Bucksburn, Bridge of Don and Dyce, including Aberdeen Airport, set to experience enhanced journey time reliability with reducing congestion on the region’s roads. Blackdog Junction opened to local traffic in May 2018 and is already improving access to Belhelvie, Potterton, Blackdog and Blackdog Industrial Estate. The link with Goval Junction will further improve access towards Ellon, Peterhead and Fraserburgh for road users. 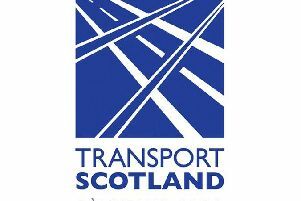 A Transport Scotland spokesperson said: “We are continuing to work with the contractor, Aberdeen Roads Limited, to open new sections of road as they become available. We are now at a stage where we are able to publish a road order for a seven kilometre section between Goval and Blackdog and are confident that this will open in advance of the rest of the new trunk road, which is scheduled to open in late Autumn 2018. The speed limit between Goval and Blackdog will be 70mph, however, the road order enables the contractor to reduce the speed limit to 50mph or 40mph, where appropriate should further construction works be required.